50pcs Low Voltage Audio Amplifier IC JRC Njm386d Lm386. Peavey Metal Logo Badge Name Plate Amplifier Audio Electronics. Just added many new ones. The Scott tuner dial is cracked and the center broken, however if it's all you can find, and you are clever you can make it work. I believe repos on most of these are available elsewhere. 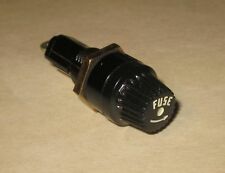 Fuse Type Miniature Lamp. 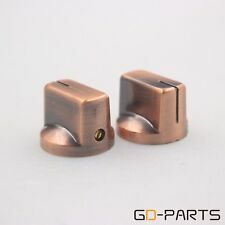 Onkyo part number: 210026. Peavey Metal Logo Badge Name Plate Amplifier Audio Electronics.. Shipped with USPS First Class Package. Audio Technica SS445E/U Cartridge 0.3x 0.7 mil BiRadial Diamond Stylus NEW! Audio Technica SS335E/U Cartridge BRAND NEW!!! BRAND NEW SS335E/U CARTRIDGE! VERY RARE AND HIGHLY SOUGHT AFTER!!! HURRY UP AND BUY BEFORE THEY ARE GONE!!! Made in Japan for highest fidelity and sound quality ● Special elliptical diamond for very high fidelity ● .0003 x .0007 inch radii for precision tracing accuracy ● Precision engineered and exquisitely crafted in Japan ● Genuine, 100% authentic Stylus. AR 2,3 SPEAKER LINEN GRILL CLOTH-HIGHEST QUALITY also for DYNACO,KLH - REDUCED! High quality, suberb looking open weave imported off-white linen, hard to distinguish from the original cloth AR used. Check the side by side fotos of the original cloth AR used. Examine the fotos carefully to judge for yourself. 2 pin flat blade plugs fit Polk SDA 2 and other models with flat pins These are made by using High quality 10ft 16ga OFC wire & new plugs. This will NOT fit all Polk SDA speakers. Nice condition. What you see in the pictures as swirls are exagerated by the light, in reality looks better. Form fitting and ready for service with an. Or, if cost is your only consideration and you don't mind the potential risk or limitations of a lesser alternative, you may find theirs more economically suited. The price is for one pair (two) identical badges. These are sublimated matte gold aluminum. 02" thick with double-sided adhesive on the back. Apply Resist: This Photoresist has 3 layers, the top and bottom layers are clear protective layer, so at the first, you need remove one protective layer, the easy way is to use two small pieces of scotch tape. 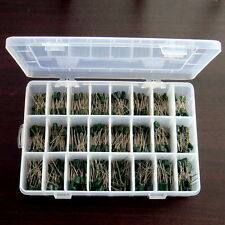 (10pc lot). Phenolic resin support/insulation. Useful for tube-type circuits, restorations, repairs, or new construction. Winter Park, FL. Height: 0.85". Two screw points. As pictured. WARNING: This product contains chemicals known to the State of California to cause cancer and birth defects or other reproductive harm. Construction is 7 lug / 1 Mount. AT7 ECC83 EL84 6922 EL84 575. Compatible: 12AX7 12AU7 12. 6Pcs 18mm Orange Vacuum Tube Dampers Silicone O-Ring. Material: Silicone. There should be a rubber bushing in your receiver that each lamp will fit in. The youtube video below shows the basic installation of the bulbs. You can also search youtube for a more detailed video on the tuning dial indicator. Radio Tube Cap / Grid Cap / Plate Cap. (4 pcs)made in China. SMALL Size. New power cord, modified connector for perfect fit to 2 prong connector socket (like the example pictured) on Teac, Pioneer, Sony, Sansui reel to reel tape decks. Six foot length (not 5 foot). High quality cord. The youtube video below shows the basic installation of the bulbs. You can also search youtube for a more detailed video on the tuning dial indicator. There should be a rubber bushing in your receiver that each lamp will fit in. Form fitting and ready for service with an. Or, if cost is your only consideration and you don't mind the risk or limitations of a lesser alternative, you may find theirs more economically suited. I've been authorized McIntosh technician for over 35 years. But, very common problem with C20, and I would say every one of them. The exterior weave is tightly braided, unlike other cords, has good abrasion properties. Braided strands reduces stretching. 12 ft length enough to replace 2 to 3 Dial Cord. Woven cords are superior in performance than twisted cords that unravel easily. 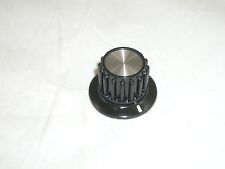 Used slider knob and led for various sound shaper equalizers in excellent condition. Includes knob, insert and working led. Smooth Woven Nylon over multi-strand core (replaces twisted twine and cotton cords). The exterior weave is tightly braided, unlike other cords, has good abrasion properties. Braided Nylon over a multi-strand core reduces stretching. We want to assure you, that you will be getting a great product. They are a little shorter than the walnut veneer bull nose molding cabinet grilles which also has rounded corners. The cloth is an open weave, off white linen material that we use on our line of Acoustic Research speaker grilles. Sale is for the. NEEDLE ONLY ,not for the toy phonograph in the photograph! The dust cover is in excellent condition having no cracks. It has a height of 4 1/4". Local Pickup is encouraged. Violin rosin is made in a block, built into a wooden holder. Simply drag the cord across the rosin block until it is well coated, then install the cord on the dial drive assembly of the radio. 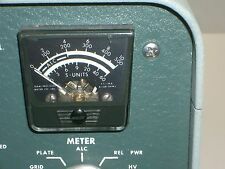 A dial cord is subject to friction whenever the set is tuned and must therefore possess reasonable resistance to abrasion. The ink color is a dark maroon to closely match the original color used by AR.